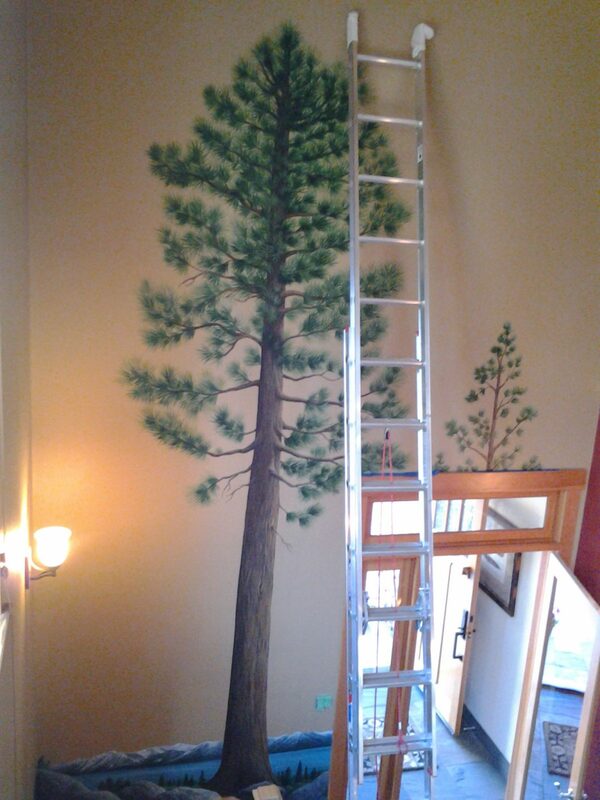 This project was created for a client who wanted to unify the first and second floors in a private residence and to make an extremely high wall more intimate. 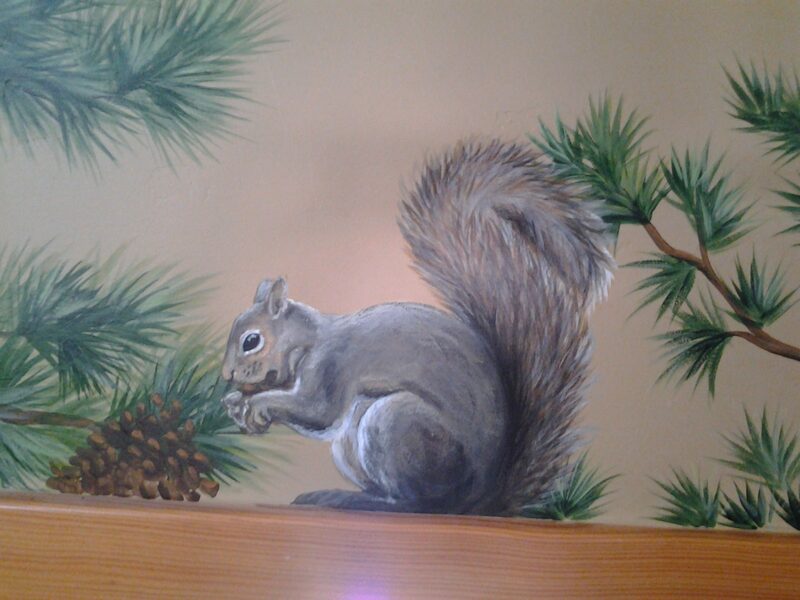 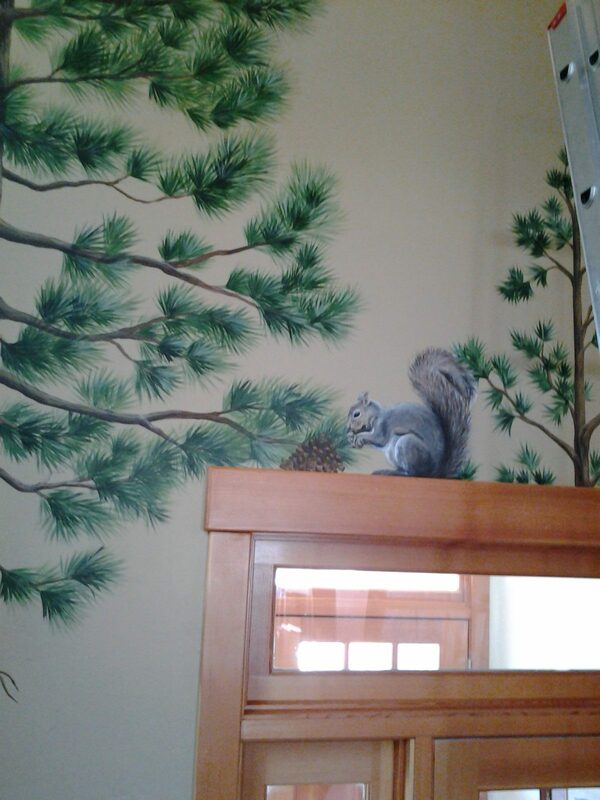 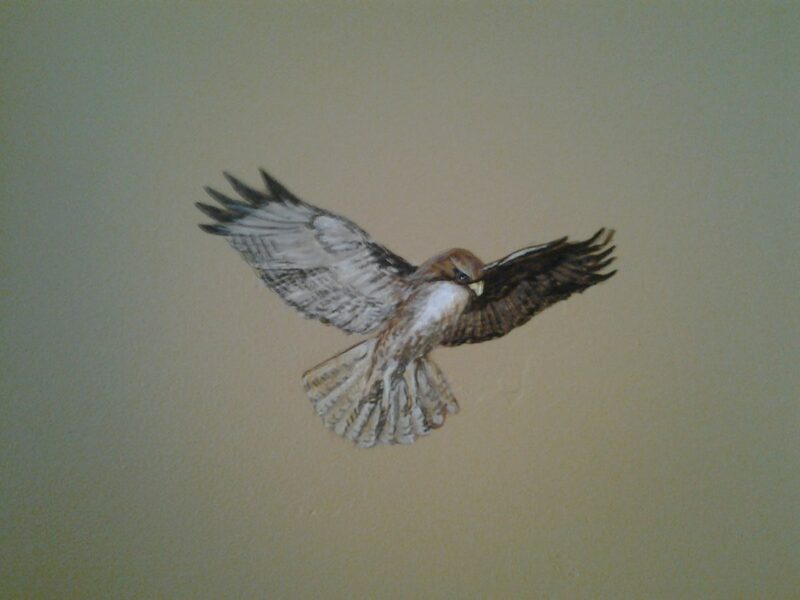 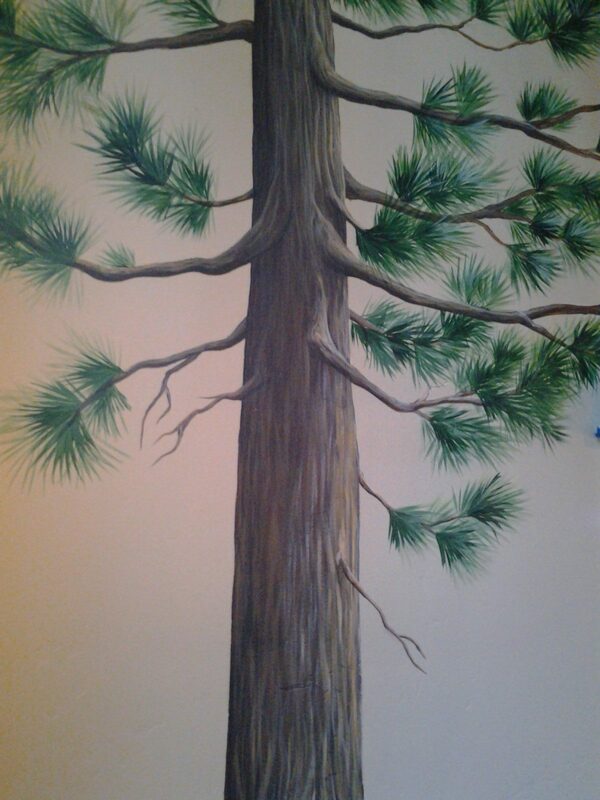 I achieved this by painting a large (15+ ft. high) jeffery pine tree, anchored at the low landing by Tahoe landscape elements, and incorporating an eagle soaring above the door and a grey squirrel perched upon the lintel. 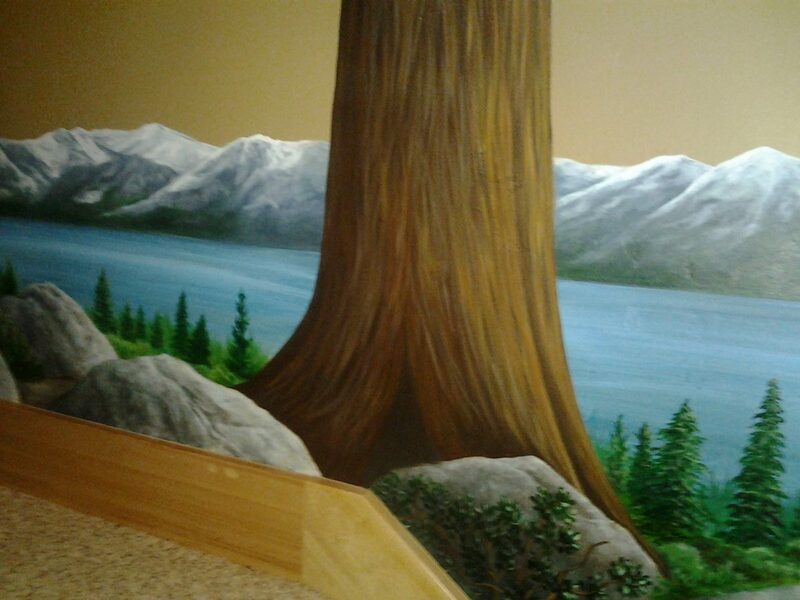 If you’d like a custom-designed mural in your home, office or organization’s building, contact me so we can work together to achieve your desire.